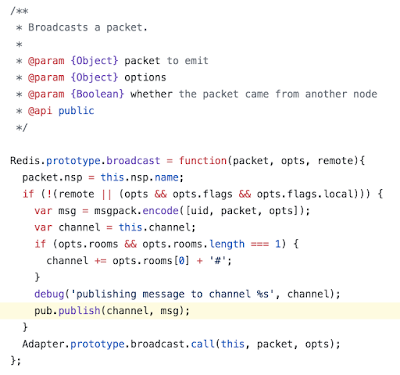 In this post, I'm showing how to implement the PageRank using BSP. P.S. Apache Hama's BSP framework is not ready yet. – Vertices V are web pages. – Vertex index points to list of incoming edges's vertex. – User equally likely to follow any link on page. – Probability of moving from vi to vk = 1/out_degree(vi). – User equally likely to jump to any state. 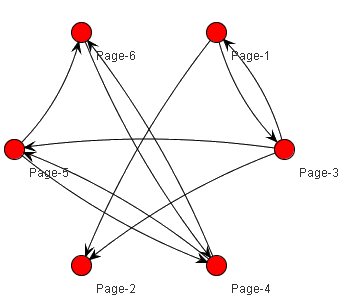 – Percentage of moves that follow a link == α. – Percentage of moves that are jumps to another page == (1- α). // Loop over edges pointing to vertex i.
I find it a very promising approach! Can you estimate when Apache Hama's BSP framework will be ready? We have a release plan with BSP (as soon as possible, and at least before the coming autumn). I would be interessted how the follwoing Google Pregel snippet would be implemented using Hama. Simply extending the BSP class as within some of the BSP examples is imo not enough as BSP just models a graph partition and not a single vertex. Is there a more vertex-specifc class anywhere?